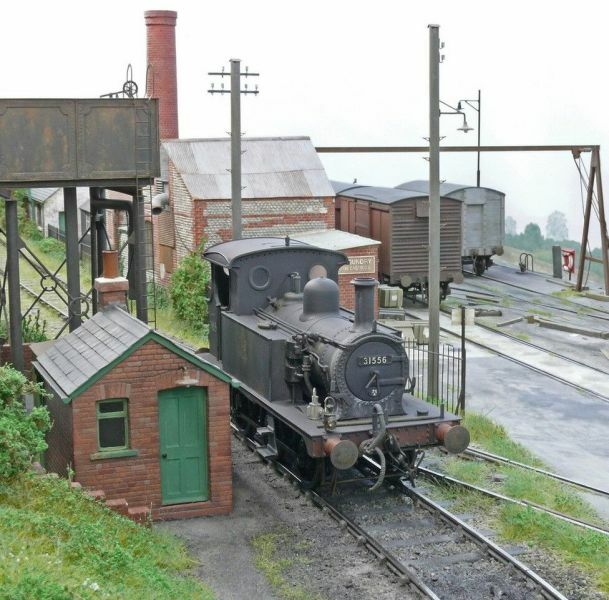 Crowsnest Wharf, 16.5mm gauge Exhibited by Trevor Hughes. Newton Heath Works 31.25 & 16.2mm gauge Exhibited by Mike Baker & Martin Finney. Bottom Works Sidings OO Gauge, Exhibited by Chris Matthews. Leighton Buzzard (Linslade), EM Gauge, Exhibited by Tony Gee and Members of the Denny Family,. Longwood Edge P4 Gauge Exhibited by Iain Rice. Lananta Quay Broad & Standard gauge exhibited by Nick Salzman. 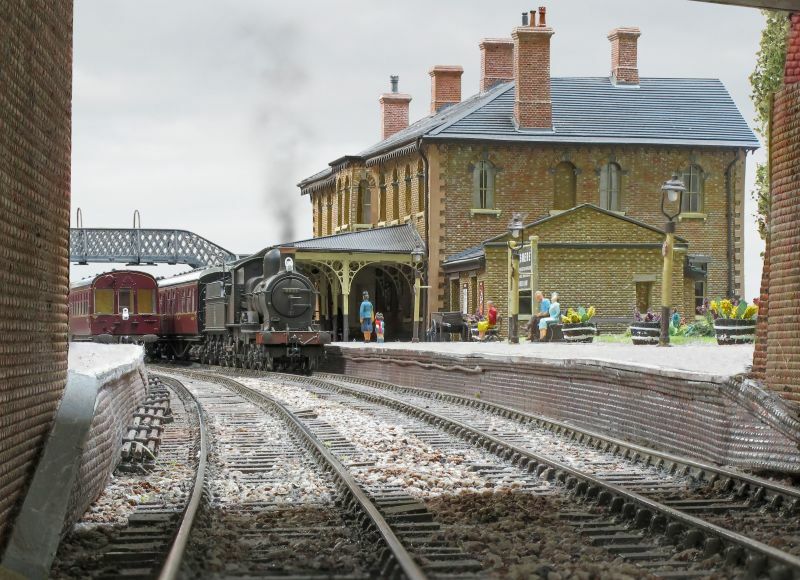 Wickwar, N Gauge, Exhibited by Farnham and District Model Railway Club. 247 Developments: Etched name and numberplates, plus detail components and complete kits. Alan Gibson: 4mm and 7mm wheels and kits. ALL Components: All the electrical bits that you need to wire your layout. AMBIS Engineering: Manufacturers of primarily etched components for modellers for 4mm or 7mm scales. Bill Hudson Transport Books: Carrying a huge range of railway books both new and second-hand. C&L Finescale Track Building Systems: Track components and point kits. Cheltenham Model Centre: Most ranges of RTR locos and rolling stock. D&E Video - Realtrack Models - DC Kits - Legomanbiffo: Plastic kits for D&E modelling plus railway DVDs, and Fabulous Sound Decoders. Dart Casting: Figures, rolling stock kits, road vehicles, you will find it all here. Eileen's Emporium: Tools, sheet metal, rod, tube and any thing else you need for scratch building. Golden Arrow: Locos not supplied by the main manufactures. Gramodels: Suppliers of quality resin Military Vehicles/Equipment from 2mm to 7mm. Green Scene: For all your scenic modelling needs. High Level Kits: Producer of state-of-the-art 4mm scale kits of the more appealing and unusual industrial locomotives. Hobby Holidays: A husband and wife team offering "Hobbies with Hospitality". Ian's Trains: Pre-owned OO & N gauge rolling stock. Isinglass Models: Suppliers of fine scale LNER drawings used and recommended by modellers for over 40 years. Judith Edge Kits: 4 & 7mm scale brass kits for industrial diesels. 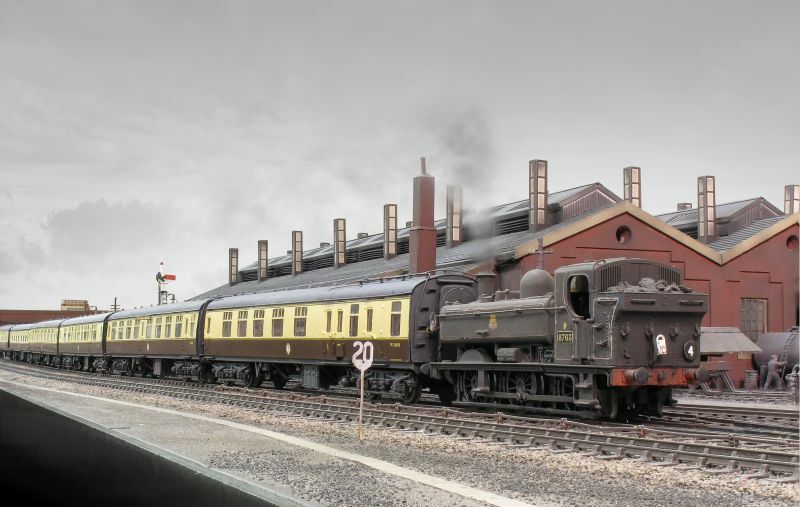 London Road Models: Designing and manufacturing of 4mm locos and rolling stock etched kits. M.A.R.C. Models Loco hauled coaches rtr, SR EMU's rtr, coach kit manufacturers. Mega Points Controllers: In house built control systems for points. Minerva Model Railways: Ready to run O gauge locos. Model Railway Developments: Wagon and Coach underframe kits and bits, pre-assembled sprung buffers and white metal figures. Modelu: Specialising in high resolution 3D printing of scale figures and detailed component parts. N Brass Locos: Brass kits for N gauge. PenBits Model Railways: A range of etched brass kits for adding sprung suspensions to proprietary 4mm scale diesel locomotives. Petite Properties: Are designers & manufacturers of dolls houses, miniature accessories & railway model building kits. Plus Daughters: N & Z gauge RTR and detailing parts. Replica Railways: RTR, spares, transfers and the replica range of coaches. Roger Carpenter Photographs: Looking for that picture of a station or piece of rolling stock, you should find it here. Roxey Mouldings: Mostly southern railway kits in 4 & 7mm scales. Rumney Models: Offer a range of finescale kits and components for the late steam / early diesel modeller. 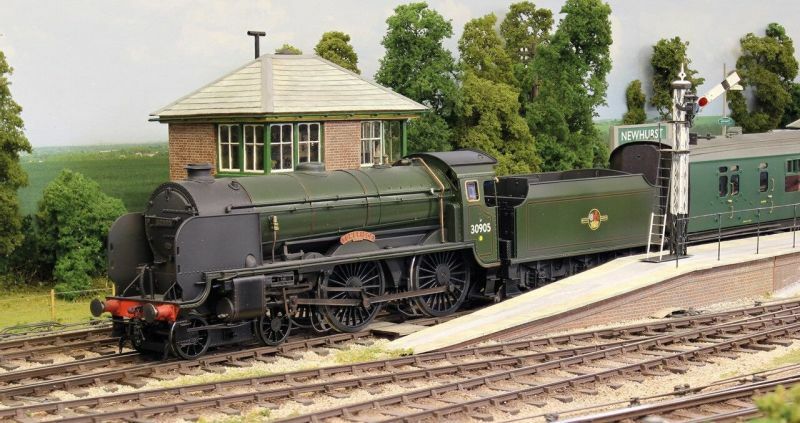 Severn Models: Create model kits in etched brass, ideal for model railway builders. Shawplan Model Products: Manufacturer of British Rail Modern Traction 2mm, 4mm and 7mm Nameplates and Detailing Kits. South Eastern Finecast: Cast white metal locomotive kits in 4mm scale. Sunningwell Command Control Ltd: Digitrax, Soundtraxx, North Coast Engineering, Train Control Systems (TCS) and CML and other products. Taff Vale/Dragon Models: Have a range of 7mm and 4mm etched brass kits. Tim Horn Lasercut Baseboards: Manufacturer of baseboards, precision scale replicas and layout accessories. Tools 2000: Comprehensive selection of the Expo Drills and Tools for all your model making needs. Wild Swan Books Ltd: All the Wild Swan books and Magazines can be purchased here. Wizard Models Limited: Specialise in providing kits and components to our fellow model railway enthusiasts, particularly in 4mm and 7mm. My goodness, those are some beautiful shots! That's some wonderfull modelling, Sadly I can't make it this year. Our own club open day is the Sunday with getting ready the day before.